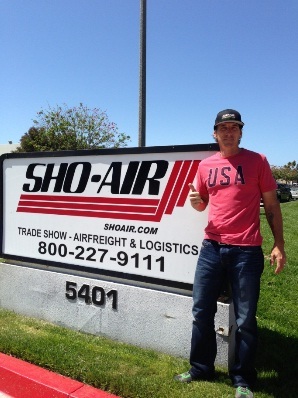 SHO-AIR International is pleased with the recent decision made by the UCI to postpone the “Forbidden Race” rule to allow more time for USA Cycling and other federations to have a dialogue on the rule and its application moving forward into 2014. For now all racers, including the Sho-Air/Cannondale squad will be free to race at quality sanctioned and “non-sanctioned” events for the 2013 season. SHO-AIR International president and CEO R. Scott Tedro had this to say about the recent ruling. “As I stated several times, I have been working with USAC behind the scenes the last several weeks and believe they were making an earnest attempt to find a solution. I’m glad to see that USA Cycling along with other federations has heard the riders and industries voice in regards to this rule. Myself and team director, Ty Kady have been invited to sit on USA Cycling’s board committee in the coming months, so we can set about a plan to either have this rule eliminated or see it drastically re defined to be applicable in a positive way. As of now, the UCI looks to place rule 1.2.019 back into effect coming January 2014, which could still pose problems for many athletes, teams, promoters and sponsors.